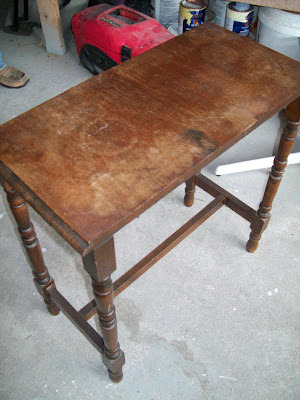 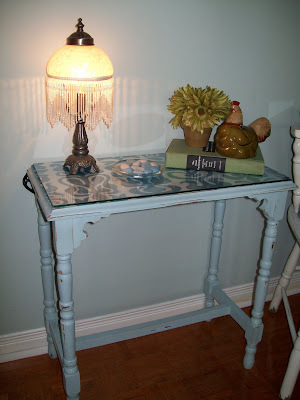 Recaptured Charm: Little Side Table, Frumpy to Dazzling! 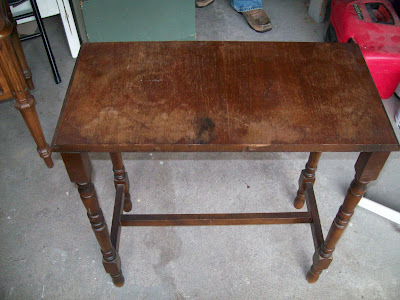 Another lonely little orphaned table. 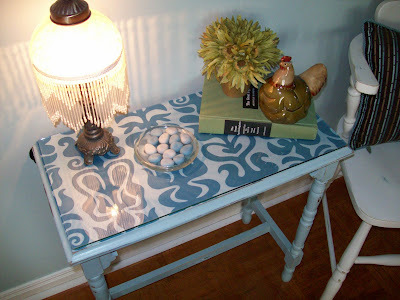 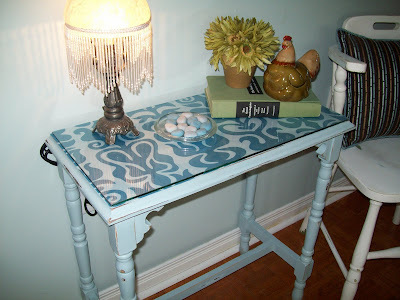 Some Robin's Egg blue paint, dazzling fabric and a glass top..
CLICK HERE FOR SALE ITEMS!